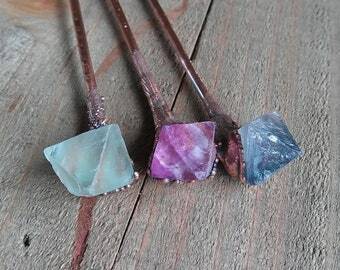 How cool it is to own a very unique Rustic Gemstone Hair Pin that you could wear daily or gift it to that special person? 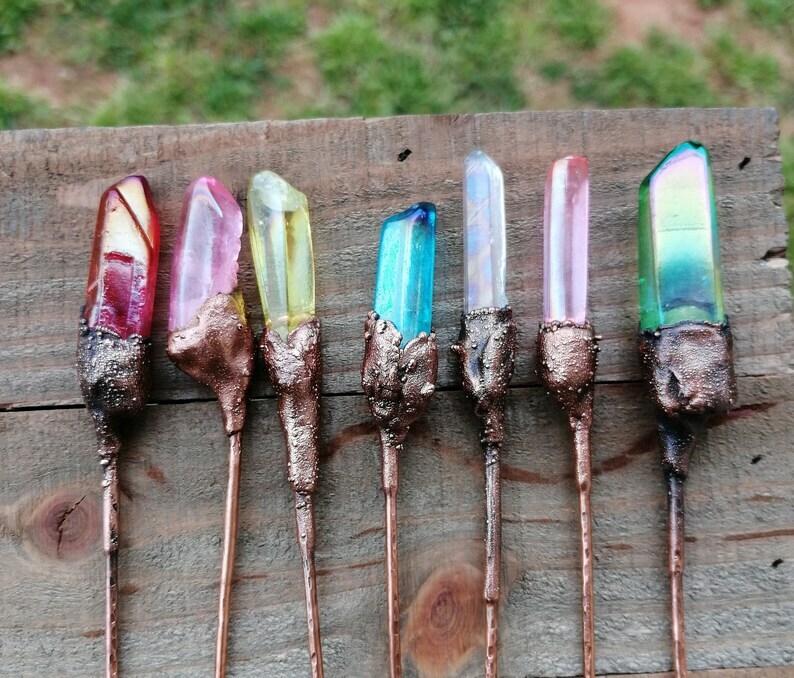 This listing features 7 Aura Quartz Rustic Hairpins or sticks, these are made using copper, magic sculpt, patina and sealer. 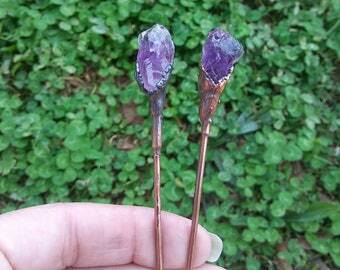 The price is for 1 hair pin, you may choose more than one at checkout. Aura Quartz Emotional Healing Energy. Aura Quartz crystals provide a calm, relaxing effect on the emotional body and are soothing and healing to the aura. They are exceptional for releasing negativity and stress, old wounds, and long-held doubts about one's self-worth.